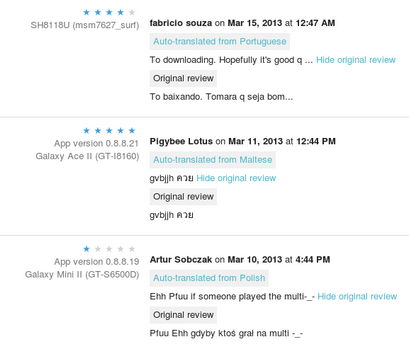 Recently, Google quietly began to test auto translation for app reviews in the developer console. 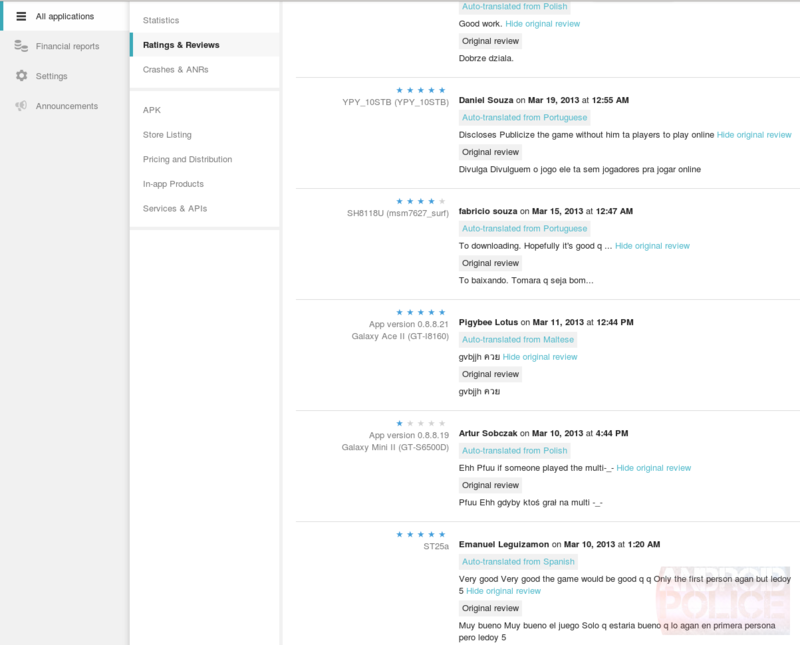 Today, the company publicly announced that same feature and began rolling it out to all devs. 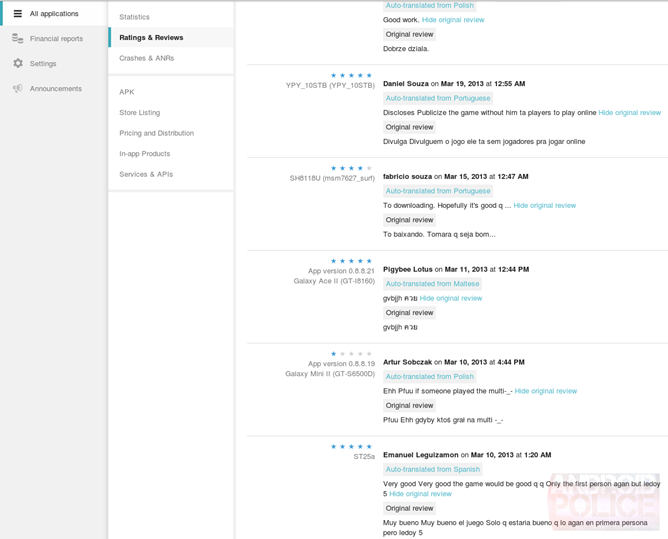 Now, when they log in to their control panel, they can see the reviews in their preferred language, along with the original text. Neat. Of course, this still isn't a replacement for native fluency, but it should aid developers in troubleshooting problems that users on the other side of the language barrier discover. This, coupled with replies to reviews, enables a high degree of communication between devs and users, which can only be a great thing.